I recently found myself reviewing the power and energy consulting assignments we’ve undertaken at Smarter Grid Solutions (SGS) over the last year or so, taking time to recap the projects we have delivered to our customers like network operators, DER developers/operators, and other organisations including the Energy Systems Catapult and the UK Government department for Business, Energy and Industrial Strategy (BEIS). From a business perspective this is a worthwhile, if not essential exercise to review and explore the best ways to refine our consultancy offerings. 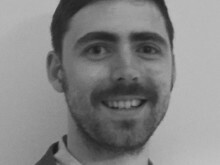 But in doing so, I’ve found that it has also provided a valuable reflection of just how far this domain has come over the last few years and the extent to which energy flexibility concepts (which as always may mean different things to different people) have entered the mainstream conversation. Rewinding five or six years, the team of consultants at SGS were often delivering studies to reinforce the business for network operators as they moved from considering network capacity purely in MW terms. It became apparent that the increasing need for flexibility within the electricity system would require consideration of capacity in MWh terms – understanding the time-varying nature of network operation. Back in the day (if this is far enough in the past to justify that phrase), our team was one of the few groups of consultants or analysts that were delivering bankable studies to consider flexibility in these terms; even back then we were using methodologies and tools that had been finely honed over years of application. Of course, our work didn’t solely focus on flexibility studies, however, there was very much a feeling of innovation associated with our efforts. At the time, there was support from those in the innovation teams at DNOs and early-adopter DER developers that were keen to consider network capacity in different ways and seek new ways to harness flexibility. That said, it would be a stretch of the imagination to suggest this type of thinking was by any means mainstream. In reviewing the projects we have undertaken over the last few years here at SGS, it highlights the breadth and maturity of developments in the industry. Here’s a quick look at a few of those projects and some reflection on developments. In 2017 our consultants successfully supported SP Energy Network’s (SPEN) bid for funding via the Innovation Rollout Mechanism (IRM). The £8m IRM funding will allow SPEN to accelerate and up-scale the deployment of ANM flexibility in South-West Scotland, allowing significantly more DER to connect. The scale of this project, covering a large section of their SPD license area, is a huge statement of intent from SPEN and reflects the acceptance of flexibility as a lasting alternative to reinforcement. That the project will have close coordination with flexibility solutions on the transmission network highlights the need and willingness to coordinate across the T-D boundary. And finally, that the bid was successful shows Ofgem’s commitment to ensuring the valuable concepts demonstrated in innovation projects transitions to Business-as-Usual. Given our established position in the North American market, we have been able to share concepts and learning from our projects across the Atlantic. Although reflecting a market with regulatory distinctions and different innovation themes, we are increasingly seeing interest from network operators to explore these concepts. In the last six months, our work with Northern Powergrid developing their Microresilience project is an excellent example of building upon concepts being trialled in North America. The project will be exploring the application of publish-subscribe open standards communication to support microgrid interoperability. Our consultants have been supporting the project definition, evaluating trial sites and establishing the microresilience use cases for each trial site. Northern Powergrid’s enthusiasm to explore interoperability and open standards reflects the advanced thinking and desire to demonstrate innovation across all elements of smart grid architectures, including the communications elements. Our smart grid analysts have been working closely with Western Power Distribution (WPD) as it continues an ambitious plan to roll-out Active Network Management, offering connections at all GSPs by 2021. That we are in a position where the ANM control technology is an accepted, DNO wide solution speaks volumes and shows the progress made in the last few years. Our recent focus has been a period of training and familiarisation for the engineers that issue flexible customer connection offers and design the network. WPD understands the importance of robust planning methods and tools, leading to SGS analysts training the key team members in time-series analysis, contingency studies and other techniques that will support flexible system design in the DSO era. In this sense, WPD is showcasing a longer-term sustainable approach to DSO analytical/design capability – establishing the advanced processes, methods and tools as business-as-usual within the design teams. We’ve continued to deliver studies for DER developers and operators, but we have noticed increasing complexity in these studies. There has been greater use of probabilistic techniques, modelling of energy storage devices, and reflecting the added revenue streams available through emerging flexibility markets. 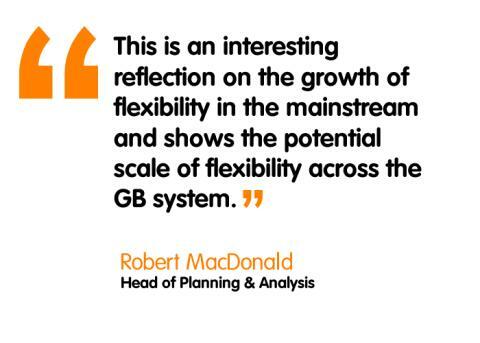 This is an interesting reflection on the growth of flexibility in the mainstream and shows the potential scale of flexibility across the GB system. Stakeholders in the development community are now seeking more detailed information about their grid connections: implications of constraints, times when constraints emerge, opportunities for local balancing services, feasibility of consortium approaches to network reinforcement. We have seen growing numbers of commercial and industrial customers engaging with flexibility, highlighting the breadth of opportunity on offer. Above and beyond those specific SGS experiences, there have been numerous wider industry developments that have taken place – the evolution of ENA working groups into the Open Networks initiative; the introduction of DNO flexibility services as an alternative to reinforcement (that MWh vs MW point again! ), and improved visibility for customers through DNO heat maps, flexibility maps, and strategic plans. More stakeholders are embracing this positive direction of travel and are increasingly conscious of the opportunities that exist. It is heartening to see the fruits of this labour going back many years – and not just from Smarter Grid Solutions, but the DNOs, DER developers, research groups, technology vendors and other stakeholders that have championed and driven this transition. It is incredibly fulfilling to see innovative ideas slowly become accepted concepts in the industry. As always, as those concepts that were once deemed innovative become business-as-usual, we intend to continue delivering at the leading edge of innovation. Whether that be more advanced analytical techniques, bespoke simulation tools, or supporting DNO innovation programmes, the team of consultants at SGS will be pushing the envelope with that objective of Business-as-Usual acceptance of flexible DER business models firmly in mind. Smarter Grid Solutions offers specialist services and unique expertise in smart energy asset control to support the transition in energy markets and distribution systems.